The following review was published on the Huffington Post on Thursday, June 16, 2016. I confess I am and so when it comes to biracial issues, I don’t give it much attention. I believe in people and who they are not what they are. This world is a crazy place. There are individuals who are bigoted, bereft of heart and soul. They are not just white; they come in every stripe. 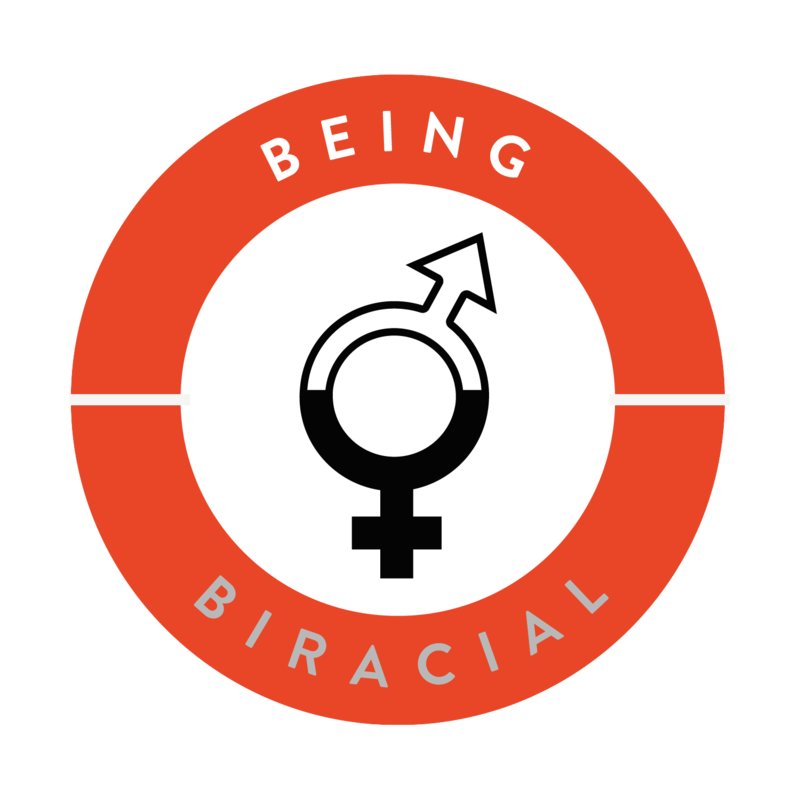 When I read the compelling essays in Being Biracial: Where Our Secret Worlds Collide by Sarah Ratliff and Bryony Sutherland, I began to wonder about the whole question in a deeper way. Being biracial isn’t about the choice of interracial coupling as one of the authors put it, but of the child of that coupling and the world into which the child finds him or herself born. If one is mixed black and white, brown and white, red and white or yellow and white, one is never white. But then again, as many of the authors shared, neither are they African, Indian, Aboriginal or Asian. Amy Myers, white mother of two black and white sons had the awakening in a McDonald’s playground when an older child refused to let her two year old pass into the ball crawl. She confronted the older child and incurred the wrath of his mother. In that pivotal moment she indelibly learned two things: One, racism is taught; and two, her child could never fully enter the world in which she had always lived. The theme for me woven throughout these essays written by mothers of biracial children, by biracial adults – and one erudite thirteen year old – was how to live beyond the world of racism and transcend into the world of who we are as human beings. As one author posited, it is a world of the future. It does not exist now. Racism is rampant and harsh and insidious as shared in the astonishing essay by Sarah Ratliff, with a full-blown Nazi grandfather who disowned his son, her father, for marrying a black girl. Sarah chose her black roots, which were deeply influenced by the Black Panther movement growing up. Racism even in liberal California finally became tiresome for her and she her husband gave up their careers in corporate America to become self-sustaining organic farmers on Puerto Rico, where people are just people, more pleasant and trustworthy. But sometimes, as in the case of Bryony Sutherland, things have a happier outcome. English born, she married her first love, a British Afro-Caribbean, with the full support of family and the relaxed acceptance of the international and homogenous city of London. Her husband prospered in business with few noticeable limitations and now thrives in corporate senior management safely beyond anyone’s dared racial slur. They chose to have children in full comprehension and mutual understanding of potential issues and made a point of finding a home and community outside of the city that was blended and ‘colour blind’. Most of these compelling essays by the mixed-race authors begin with the first awareness of being different – when the world imposed its view. Children are colour blind and it is my hope that this book and the discussion that it encourages will return us to that childlike state of loving acceptance, more than skin deep. These are stories about children who by no choice of their own were born in the hinterland of biracial mix, a largely uncharted territory. It’s a map of sorts showing the way from the outside in. Books like this are critical to open the discussion and offer navigational points. To converse in words and attitudes that recognise that in terms of race, ‘mixed race’ is the fastest growing race in America. And in terms of the world, we are all members of the human race. Being Biracial: where our secret worlds collide is the best of both worlds. It is not only academic, nor is it only commercial. Sarah Ratliff and Bryony Sutherland have indeed found a way to take a subject that will appeal to everyone, from interracial families, to the multiracial population, to non-fiction readers, and to academics. It is a book that needs to be read by anyone interested in diversity and the multiracial viewpoint. My collection of books about biracial and multiracial people began in 1991 with the ground-breaking book Who is Black? One Nation’s Definition. It appealed to the academics, and also to the advocates for the multiracial community. In 1995, a writer named Lise Funderburg wrote Black, White, Other: Biracial Americans Talk About Race and Identity, which was the first commercial book that addressed the biracial population. But it just never rang true to me. The 24 people who write about their lives in Being Biracial are as varied as there are names for the multiracial crowd, which is getting larger every day. I was very surprised as I read about how much emphasis is placed on the physical traits of these people. I was delighted that there were no “poor multiracial me” stories, and that people came from everywhere with varied experiences, and that they all very clearly dealt with all of their racial combinations. It was exciting to get the perspective on being biracial from an Asian and Scandinavian man now living in Canada. Then we hear from a Black and White mother of a Black and White child living in the United States. Then, when you think you’ve read enough diversity, you turn the page to find a South African, Indian, Bantu, Mauritian, Scottish, and French man living in England and then an English and Indonesian teenager in Bali. How could this book not be an amazing read? That was more than an “aha moment” for me. It is what Project RACE has been telling our government for 25 years, but not in those perfect words. You’ll find many more gems like this one. That is one of the messages of Being Biracial, but there is so much more. This is not only for the interracial family, the multiracial person, or the people who tell their stories. This book is for everyone who needs to understand more about race in the world today, and wouldn’t that be all of us? Just a generation ago, societies where the “one drop rule” once prevailed (such as the US) the notion of someone claiming the status of “biracial” was improbable, especially for those who had one White parent and one parent of color. Being Biracial appropriately sheds those restrictions and explores identities beyond the outdated trope of the “tragic mulatto.” At the same time, many of the stories in this volume will remind the reader that race often continues to be treated as an either-or category. While we may no longer see it as a tragedy to not “fit” in rigidly racialized groupings, the essays provide important insights into the wide range of challenges that remain. That makes this a must read for the family members and friends of those who identify as biracial, especially those readers who come from a dominant racial category. The selections are multigenerational and international, providing a broad view of the topic. At the same time, readers should be aware that the majority of the contributors are well educated and bring a distinctly cosmopolitan perspective to their reflections. What would it be like to feel like an outsider in the midst of a crowd; an ‘other’ while surrounded by those whose appearance differs from your own? Sarah’s family history is gut wrenching. Her paternal grandfather was a racist, sexist and homophobic man who made her father watch a young AfricanAmerican child drown when he could have been saved. When he chose love over hatred, Sarah’s father walked out of her grandfather’s life. Years later, after Sarah and her two brothers were born, his father re-entered, referring to his grandchildren as “criminal mistakes.” The door closed again. Fast forward and Sarah marries her husband Paul who is African American and they move to an organic farm in Puerto Rico where they raise goats and bamboo and Sarah who is a prolific writer, founded her own content marketing company. There they feel culturally enriched and are rarely looked at as being the odd man or woman out, since their neighbor’s complexions and origins are varied. How to manage self acceptance in a world that sets standards for ‘appropriate’ appearance and means of relating is one of the strong suits of this book. Some were considered not Black enough or White enough to be embraced by either group. Even in the Black communities in which some of the writers live, there are gradations of privilege based on hue and tone of skin. It outlines the struggles the writers have had just to maintain a sense of dignity in the face of rude stares and vilifying comments. Even the comment the “Irish, Italian and Scottish; Mother of Irish, Italian, Scottish and Puerto Rican” daughter received, “She’s so beautiful. Is she adopted?” Could they not have left it at the initial compliment? Russian Jewish Jeremy refers to himself as a chameleon who is able to adapt to the environment in which he finds himself, with friends of various ethnic backgrounds. The mother of two mixed race children encountered vitriol from the mother of a White child when she corrected the boy for telling her son that he couldn’t use the sliding board at a McDonalds’s playground because of his skin color. Closing out the book, co-author, Bryony who is White and the mother of three Caribbean Black and White children shares her experiences. She had asked her husband who is Black if he had experienced racism. Blessedly rareloy, he told her, that some in his life asked him “what was wrong with mixing with his own kind. Once. And in the research for this essay, I also discovered his estranged father’s reaction to the ﬁrst time he brought me home was to ask why he was wasting his time on a White girl.” When she asked her oldest son how he self identified, he told her that to choose only one side of the family was to discount the other and he wasn’t willing to do that. Clearly, they taught him well. Being Biracial reminds us that beneath the sheath that cover our skin and bones, beat hearts that long for love and acceptance. This review was originally published on Beliefnet.com’s The Bliss Blog. It has been republished with Edie’s permission. This book is truly excellent. It is an eye-opening look into the joys and stresses of a multi-racial existence from an incredible variety of perspectives. It includes a diverse, engaging collection of life stories from parents, kids and partners of bi- and multi-racial individuals as well as musings and experiences from those individuals themselves. Oh, and by the way—think way beyond black/white – there are astonishing “mixes of mixtures” here, each with a unique tale to tell. I approached this book with some trepidation: I don’t do “preachy” well, and I consider myself fairly knowledgeable from a diversity perspective so I was also not necessarily looking forward to reading what I already know. Forget that stuff. This is an engaging read as well as an educational treasure. Buy it, read it and enjoy it. If you teach contemporary sociology or diversity add it to your curriculum immediately. Sarah and Bryony have given us an intimate tour of the world in their collection of essays, Being Biracial: Where Our Secret Worlds Collide. Spanning five continents, twenty-four contributors tell us what it is like being Biracial or raising Biracial children. From the history lessons of America to Apartheid in South Africa, it is apparent that the world is changing. For the mixed race adults of the older generation, life seemed far more difficult then than it is today. Back then, laws were in effect prohibiting travel and relationships. Teenage angst was magnified by looking “different.” Although nowadays teens remain cruel (that much hasn’t changed), the media and the world has evolved. There are far more multiracial celebrities in the movies and on television, and the media now find them “beautiful.” Losing one’s language, customs and traditions are no longer a requirement for children of mixed races and cultures. In fact, denying or ignoring one’s ancestral past may be truly detrimental to the person. Biracial children today seem to no longer need, nor want, to assimilate into the mainstream. Being Biracial is a book for all people, regardless of ethnicity. It’s a geography lesson of people and places, some of which were totally new to me. It’s a history lesson of governmental bigotry as well as the story of twenty-four individuals. The more we know about each other—who we are and what we feel—the more we’ll learn to be a loving and compassionate society. Some day, perhaps, we will celebrate our differences and our commonalities without judgment. This book will help us get there. It will also pave the way for important and enlightening conversations that might not otherwise take place. To me, a person’s racial makeup is one of many aspects that make someone interesting, special and beautiful, although that’s never been at the forefront of my mind. That is, not until reading Being Biracial. Even before I’d finished the book, I found myself broaching the subject of race. The conversations thus far have been refreshing and eye opening, and I hope they will continue. After reading this book I was amazed at how diverse mixed races could be. I loved reading all the different races throughout each story. What was more amazing was how familiar it was to me: the pain of not being accepted by either group, having to choose sides, feeling the need to justify one’s existence. But there was comedy too, like the guy who was used as a token Portuguese put in the customs screening line at a Portuguese airport so as not to offend the foreigners (he’s not Portuguese), and the little girl who used the Black Panther sign at school (her teachers thought she was White). The stories show brutal honesty, pain, redemption and even the kindness to forgive those who chose to show prejudice towards them. And at times, the authors offered the same kindness to themselves. And rightfully so. I loved it! I can’t get enough of this book and I truly hope it becomes a global best seller. Everyone would benefit from reading it, whether you identify as biracial, multiracial, black, white or anything in between. Conversations about race can be uncomfortable, but this book leaves you with no excuse whatsoever to not participate. Speaking as a white person, this book has been extremely eye-opening and has let me see a world I would otherwise know nothing about. The first essay by Sarah Ratliff was like a punch in the gut. I cried! There’s enough drama in her parents’ story to make a Lifetime movie. The contributors are from every corner of the world and have unique but binding experiences to share. Their essays are honest and eloquent and raw. “Being Biracial” actually leaves me wanting to read more, so I look forward to a Volume 2! Being Biracial: Where Our Secret Worlds Collide takes us on an enlightening and unforgettable journey through the hidden realms of the human heart. What we find there is a mixture of evolving emotional responses to being Biracial and Multiracial, as befits the dizzying mixture of complex identities and experience-sets that comprise the life stories of the book’s contributors. Self-acceptance is never easy for any of us, and it was especially hard-earned for many of the men and women who share their histories in this engaging anthology. But in the end their desire to understand themselves and their world, to make some kind of sense of it no matter how senseless its arbitrary limits and hatreds seem, allows them to transcend, heal and find peace. Not that everything is all bliss and light in their lives every single moment of the day. But they are all comfortable in their own skin, and they have much to teach us about how to reach that stage regardless of who or what we are. There is plenty of drama and heartbreak here but also hope, forgiveness and reconciliation. And it is striking how dignified and eloquent all the authors are as they offer their testimonies and remembrances. They’ve truly lived the subject matter of the book. They’ve thought long and hard about it and the insights they offer are fresh and impactful as a result. Every one of the stories in this book is moving, educational and inspirational, and we owe Bryony, Jaime, Janek, Jeremy, Amy, Chance, Søren, the three Sarahs and all the rest a gigantic ‘thank you’ for opening the doors of their lives and inviting us in for a visit. One quote from one of the essays stays with me. As Mark White states, our society is “less culturally tolerant even as it becomes more racially mixed.” That is the truth and it is both an irony and a tragedy. And it is a truth we damn sure need to overcome if we ever expect to solve any of our most intractable social problems. Or learn how to be kinder and gentler with each other. Race and ethnicity remain on the cutting edge in the most destructive divide-and-conquer game ever played, and the shameful legacy of the racism mind parasite is still with us haunting our collective soul and undermining our highest aspirations. It’s probably not a realistic thing to hope for. But if those who are most unreflective and casual in their bigotry could somehow be convinced to read this book, it could make a tremendous difference in their lives. No matter how mixed and diverse our ancestry might be our humanity still connects us and unites us, and no one who reads this amazing collection of stories could ever doubt the reality of that statement. As the child of a Biracial marriage, I have struggled my whole life trying to find where I fit in. Learning of others experiences has been an eye opener for me and I really appreciate the honesty which others are willing to share their stories. The book is available on Amazon.com and Amazon.co.uk in both paperback and on Kindle. It is also available in paperback on Barnes & Noble.com.